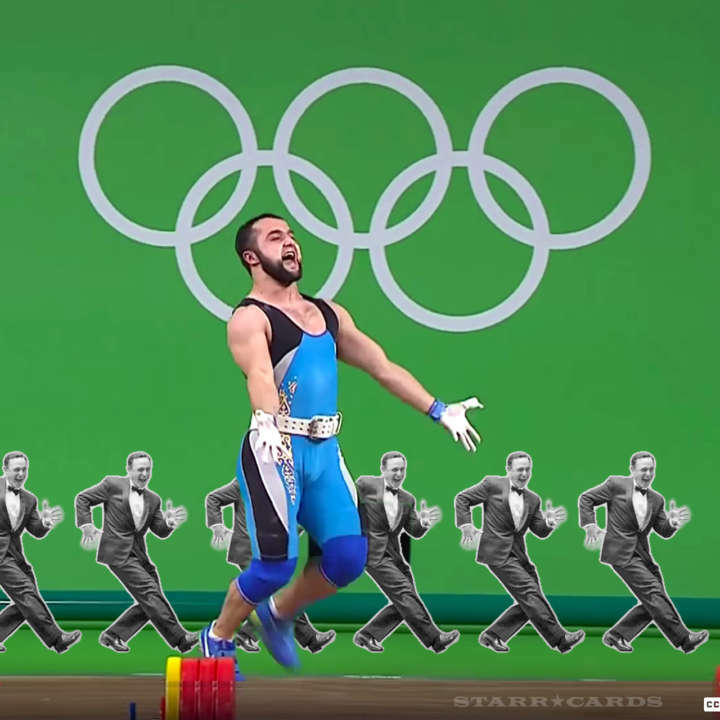 Rahimov’s coach assisted in the celebratory choreography (which some termed a “chicken dance” for lack of a better descriptor) after his student upset favorite Lyu Xiaojun of China to claim the Olympic gold medal. Only time will tell if Rahimov’s improvised dance will finally supplant the Running Man challenge. Rahimov wasn’t the only weightlifter in Rio to show off his dance skills following a lift. David Katoatau of Kiribati demonstrated similarly effusive moves meant to draw attention to his island republic’s jeopardy due to rising sea levels from global warming. In other weightlifting news from the same competition, Colombia’s Oscar Figueroa, appearing in his fourth Olympic Games, won his first gold medal in the men’s 62kg competition and left his shoes on the stage to conclude his career.